Put the steaks onto a medium high barbecue, right in the centre. Place the peppers around the edge on a gentler part of the barbecue. Meanwhile crush the avocado with a fork and add the salt and pepper. Turn the peppers often but only turn the steak after five minutes. Once turned, three minutes will give you a nice medium (pink) steak. For more well done, leave on for a couple more minutes. Remove to a plate, spread the garlic butter paste on top, season and cover with clingfilm, leave in a warm place to rest. Whisk the olive oil and balsamic vinegar together along with the steak juices. Place the steaks on warm plates with a little of the crushed avocado on top, along with a pepper. Add as much rocket as you like and divide the dressing on top. 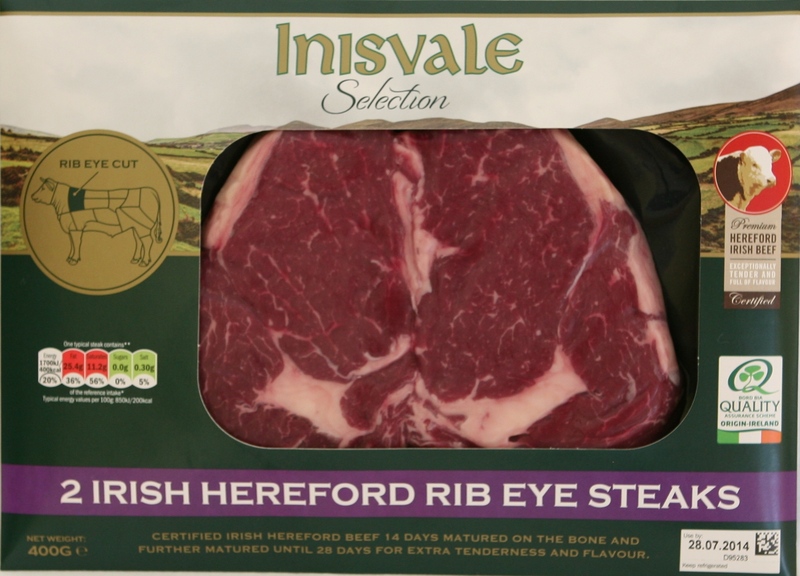 Irish Hereford Rib Eye Steaks available at all LIDL Stores.